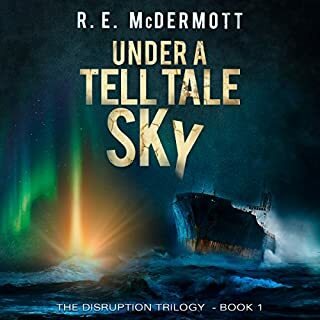 In this thrilling final chapter of The Disruption Trilogy, R. E. McDermott once again transports us to a frighteningly realistic post-apocalyptic world of chaos and uncommon courage, and of both hope and despair. 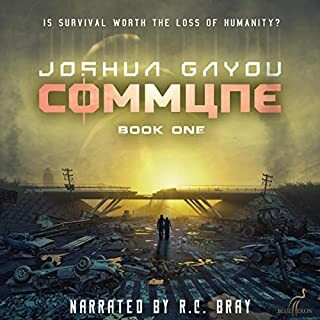 When a massive solar storm takes down the power grid, all order collapses with civilization kept alive only by scattered pockets of survivors who find themselves not only short of critical resources, but facing an unexpected enemy - what's left of their own government. Survivor resistance stiffens as an increasingly corrupt and tyrannical president clamps down on dissent and seeks to eliminate anyone who might expose his perfidy. 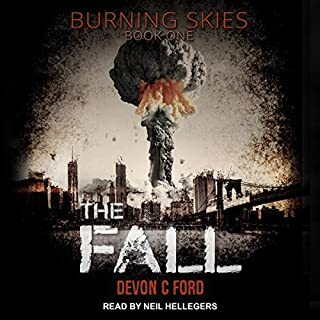 With both the defenders of Fort Box in what's left of Wilmington, North Carolina, and the people of the ship Pecos Trader in southeast Texas facing uncertain futures, a resourceful and elusive George Anderson leads government forces on a wild goose chase along the Appalachian Trail, but the future looks grim. Only one man has the credibility and the stature to turn the situation around and fulfill a promise to himself - and the nation. 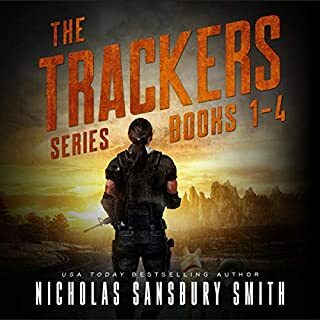 Simon Tremble, Speaker of the House of Representatives, and the last lawmaker not under control of the corrupt president, climbs out of his hidden hollow and starts south along the Appalachian Trail. He has promises to keep. After having enjoyed to previous two episodes immensely I felt that this episode got stuck in a battle scene, The preparation of the protagonists, the setting the scene, the back and forth of one battle seemed to go on for hours. The Disruption Trilogy is a MUST HAVE series for any Post-Apocalyptic library. Unlike many books in this genre, there are no zombies, no Mad Max like cults, nor fantastical situations. What these books provide is the age-old struggle between good and evil brought to head by a believable collapse to our otherwise orderly society. We all agree that desperate times make desperate people, and I think Bob McDermott endeavors to manifest these outcomes as realistic as possible. 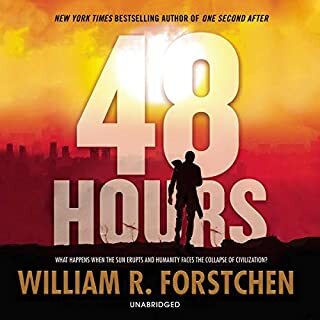 Bob also likes American Heroes, and he creates some awesome ones throughout the three books. None are superman; rather they are men and women who do not let their desperation corrupt their values. They are smart people who use their wits and down-to-earth skills to overcome difficult situations, and that is where the entertainment lies throughout his stories. 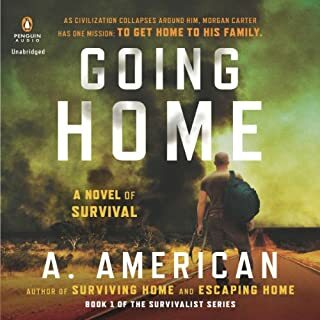 By writing these three books, Bob McDermott has become the Tom Clancy of the Post-Apocalyptic genre. His knowledge of the military, merchant marine, outdoorsman skills, weapons, and small unit tactics is superb. If you think about it, these are definitely the skills needed in the early days of a societal collapse. Whether it be converting a shipping container port into a fort or the understanding that every river bridge has the potential to be a deadly trap, Bob get’s it right, and that’s the strength behind the Disruption Trilogy. 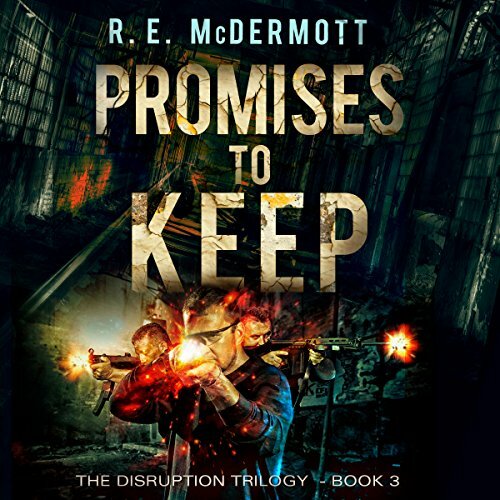 Promises to Keep is well named as it succeeds in delivering the promise of the entire Disruption Trilogy. 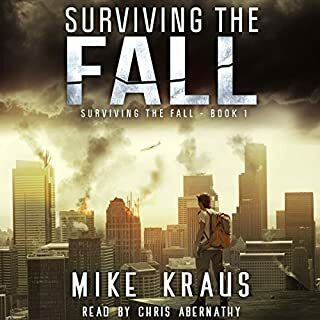 I understand that Kevin Pierce also overcame some Hurricane Irma obstacles of his own to get the narration completed so those of us on Audible could get the books shortly after its release. Kevin’s narration style totally complements Bob’s writing style, which makes these books so enjoyable to listen to. 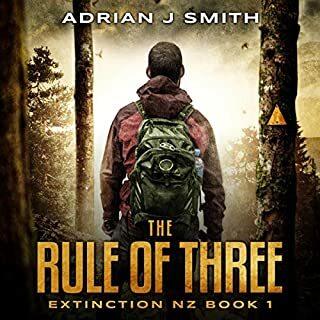 Because these are the most realistic Post-Apocalyptic accounts I’ve read to date, and they contain non-stop action by authentic characters, it’s easy for me to give Promises and the overall Disruption Trilogy a 5 star rating. Excellently written trilogy. Officially one of my favorite authors now. Doesn't fall in love with a word and use it repeatedly. Uses references to historical events without droning on and on. Manages to effectively juggle multiple storylines . Battle scenes are well excuted without having to elaborate. I also love the narrator....he really brings the book.to life. What a great series. Battles and wars, survival and growth. River life and ships, coast guard and naval officers along with ordinary people trying to survive. Pure greed and the lust for even more power from powerful people and the lengths they will go to obtain it. 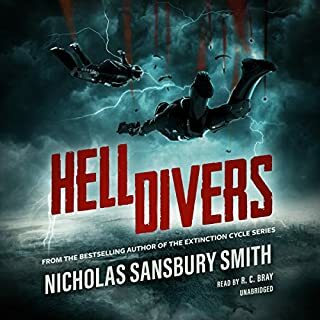 I would highly recommend this series to anyone who loves action, depth of story and engaging plots.Sorry the journey is over. The Disruption is an excellent story set in a fast paced chronicle. The characters are real and the action is all but non-stop. 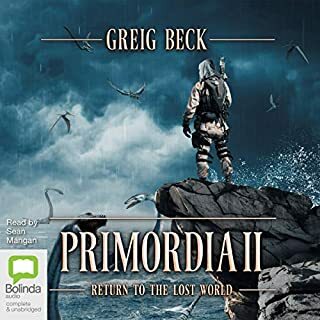 I enjoyed the series not only for the story but also because the author brings the story to an end instead of trying to keep it going as many others do. I seldom have the same enjoyment from seemingly never ending stories. The story is a multi-front narrative that really kept my interest through the entire series. This is worth the credit and the time to listen. 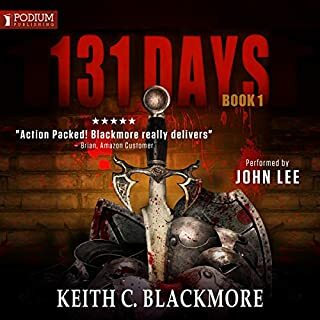 Kevin Pierce is one of the all time great narrators and he really helps bring the story alive. R E McDermott artfully weaves a story of multiple characters on their own journeys, inter-woven with fore-shadowing and splendid detail. Then wraps it all up together in a great ending that leaves some opening for the possibility of future stories. What a great story! 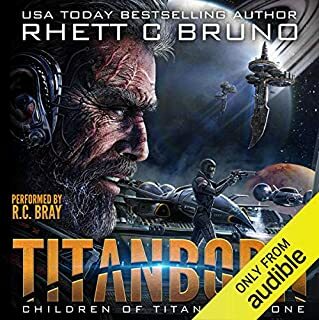 I truly enjoyed this entire series of audiobooks. There were many characters and each character was extremely well developed. Kevin Pierce, as usual, did a phenomenal job in his narration. 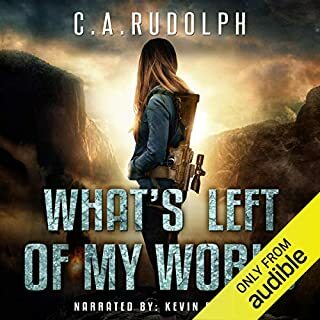 I'm sad It's over but I look forward to hearing more audiobooks by R.E. McDermott. Mr. McDermott has a new fan! This is a fantastic series! 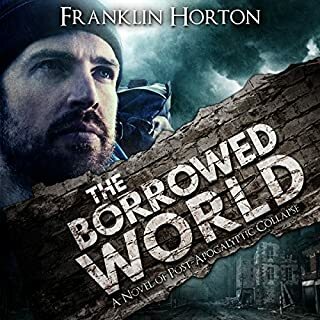 A fan of post apocalyptic novels this is one I have re-read thrice now, glad to have the third book to finish it up. And what a finish it was! 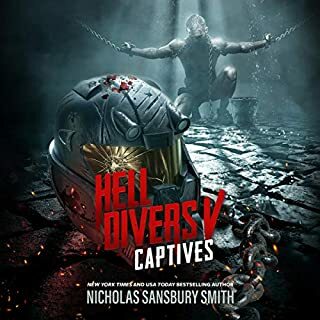 Great plot, believable actions and events, real bad guys, and true good ones. 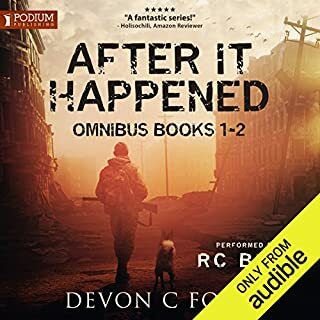 Excellent narration for the audiobook! That can break a story, however it only added to this tale. Much thanks to the author and narrator! I highly recommend both! A good EMP story. 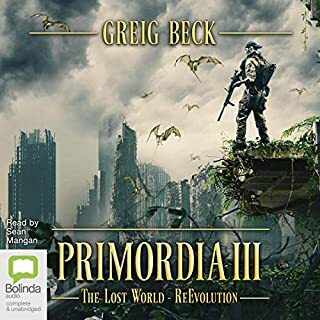 Having read too many apocalyptic dystopian fiction series of books to count in my head, I can say without reservation this was one of the best. Please please read/listen tothe first two books. This is a Briiliant finish to the story but incomplete witbout tbe first two parts. A very, very good story from start to finish.